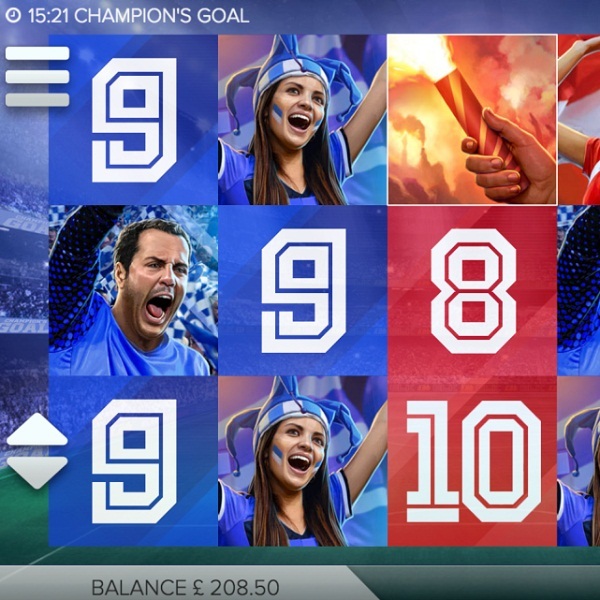 While this year’s football season has pretty much drawn to a close Elk Studios has just released Champion’s Goal slot to keep all fans tied over until the start of next season. It’s a 5 reel, 25 payline slot set inside a football stadium. The symbols are mainly divided into blue and red with two supporters and two numbers of either colour. Wins are formed with blue symbols from left to right and red symbols from right to left. There is also a flare symbol and a standoff between a fan and a riot policeman. The game’s logo is wild, there’s a trophy bonus, a pointing referee and a football scatter. The slot is packed with bonus features. The Cascading Tifo bonus sees players receive free spins with sticky wilds. There is a Free Kick bonus where players get a free re-spin with a 5x multiplier. The Sticky Corner adds wilds to each corner and awards a free spin and the Derby Free Spins award players with numerous free spins.